1.1 How To Dove Cream Beauty Bathing Bar, 100g (Buy 4 Get 1 Free) in Just Rs.180? Dove Soap is one of the Best and Rare Discount Deals. Generally, Dove Soaps Never comes in Discounts. But Amazon is Giving Dove Cream Beauty Bathing Bar, 100g (Buy 4 Get 1 Free) in Just Rs.180. 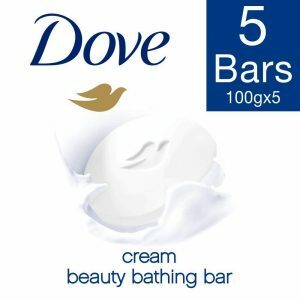 How To Dove Cream Beauty Bathing Bar, 100g (Buy 4 Get 1 Free) in Just Rs.180?